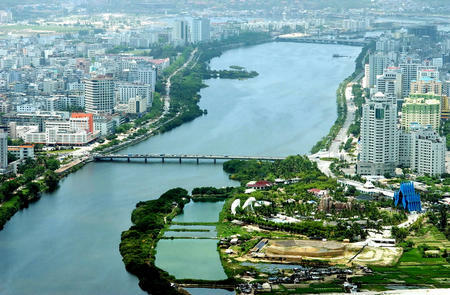 According to the latest statistics released by the Sanya Statistics Bureau, the city’s gross domestic product rose 14.2% to 28.457 billion yuan, ranking 4th in growth rate on the island. Among them, the striving tourism industry plays an important supportive role in the city’s economy. In the first quarter of 2011, the city’s GDP growth only increased 3.8%. Benefiting from the implementation of the Hainan Off-shore Duty Free policy and successful hosting of the BRICS, the economy enjoyed rapid growth. The city saw its GDP rise 12.3% and 13.4% respectively in the first half and three quarters of last year. In terms of the tourist sector, the number of overstay tourists in the first quarter and whole year grew 3.2% and 15.7% respectively.